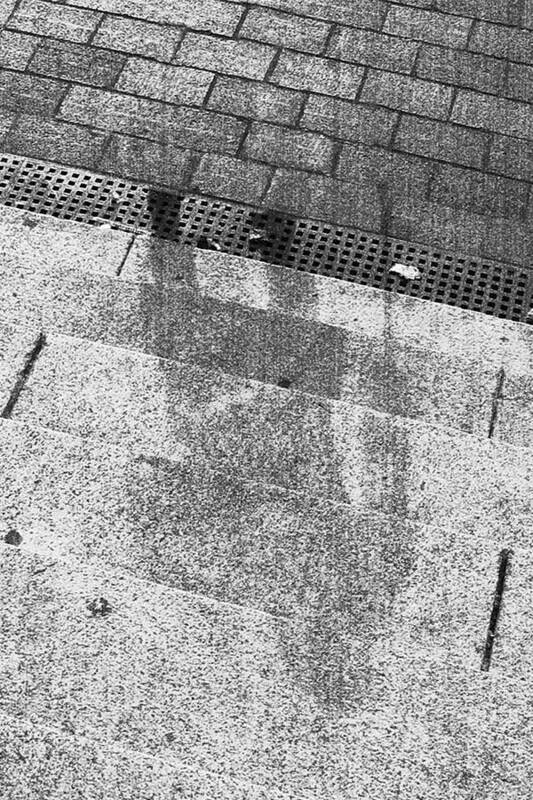 The Hiroshima shadows, some of which remained imprinted on buildings and sidewalks for decades, serve as a stark reminder of one of the darkest times in Japanese history. Keystone-France/Gamma-Keystone via Getty ImagesThe Hiroshima shadows, this one of a man who escaped radiation, remain on surfaces across Hiroshima. The man this shadow depicts was protected by the body of another man. 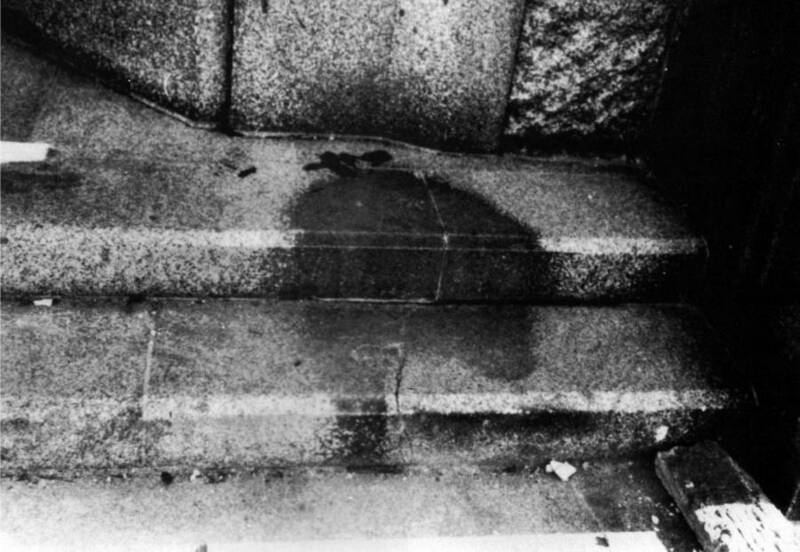 On Aug. 6, 1945 at 8:15 AM, a lone figure sat on the stone steps of the Sumitomo Bank in Hiroshima, Japan. Their right hand clutched a walking stick, their left, likely resting on their chest. Suddenly, in the blink of an eye, they were gone, their body incinerated before they even knew what was happening. In their place was a shadow that served as a horrifying outline of their final moments, spent lounging on the steps before the atomic bomb exploded above them. When the Americans dropped the world’s first atomic bomb on the city of Hiroshima (and three days later, Nagasaki), the country was changed forever. Ninety percent of the city was flattened, 70,000 people and counting were dead, and within days the emperor announced an unconditional surrender. There amongst the rubble, etched on buildings and sidewalks, were the haunting outlines of human beings that captured their last moments on earth. These shadows showed just how quickly the attack took its toll as the shadows are in the midst of movement, holding ladders, reaching for doors, or running for their lives. When the bomb detonated some 2,000 feet above the city, the blast pushed a wave of heat outwards. According to the Hiroshima Peace Memorial Museum, the heat was so intense it caused the buildings and the ground in the blast zone to bleach, leaving behind a dark imprint of anything that was in the way. Universal History Archive/UIG via Getty ImagesA shadow of a man running up a set of steps, trying to escape the bomb. The Hiroshima shadows weren’t left by people alone. Any object that was in the way of the blast was imprinted on the background, including ladders, windowpanes, water main valves and bicycles. Even if there was nothing in the way, the heat itself left behind imprints, marking the sides of the buildings with waves of heat and rays of light. 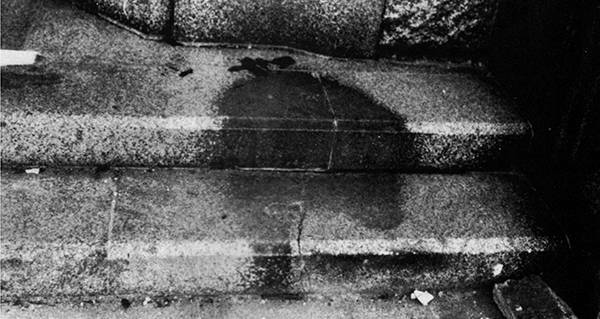 Universal History Archive/Getty ImagesThe Hiroshima shadow from the steps of the bank. 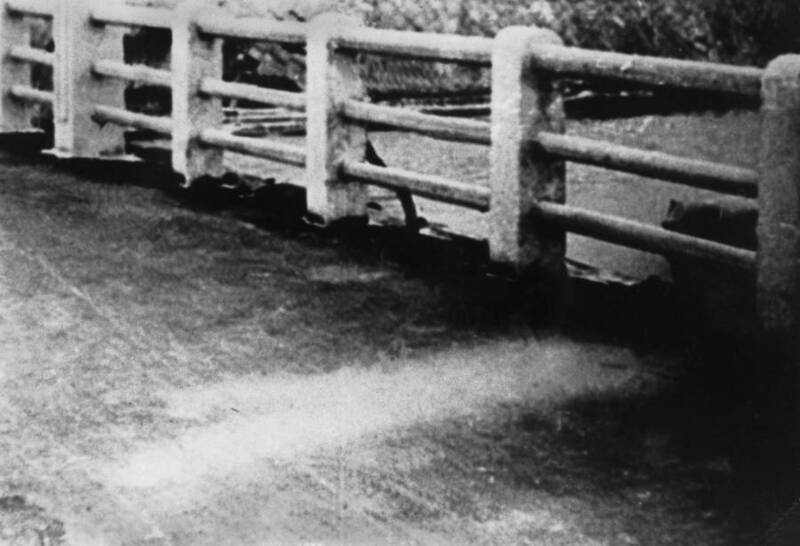 Perhaps the most famous of the Hiroshima shadows is that of the person sitting on the bank steps. It is one of the most complete impressions left behind by the blast, and lasted for over 20 years before being taken to a museum. In 1967, the imprint of the bank person was still there and as clear as ever. Depending on where the imprints were, they lasted anywhere between several and dozens of years until eventually being eroded by rain and wind. When the bank was scheduled to be rebuilt, the piece of the steps was removed and taken to the Hiroshima Peace Memorial Museum. Now, visitors can see the horrific Hiroshima shadows up close as the memorials to the horrors of nuclear weapons. Next, learn about Tsutomu Yamaguchi, the man who survived both atomic bombs. Then, read why the Nagasaki bomb almost wasn’t dropped.